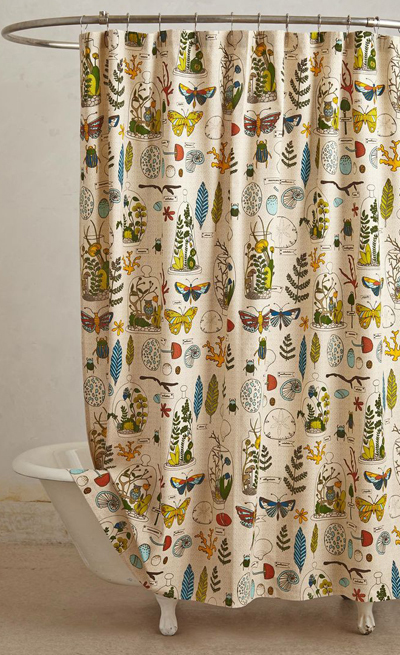 This Entomology Shower Curtain features a unique and colorful design that showcases butterflies, beetles and other natural elements. $88. Buy here.